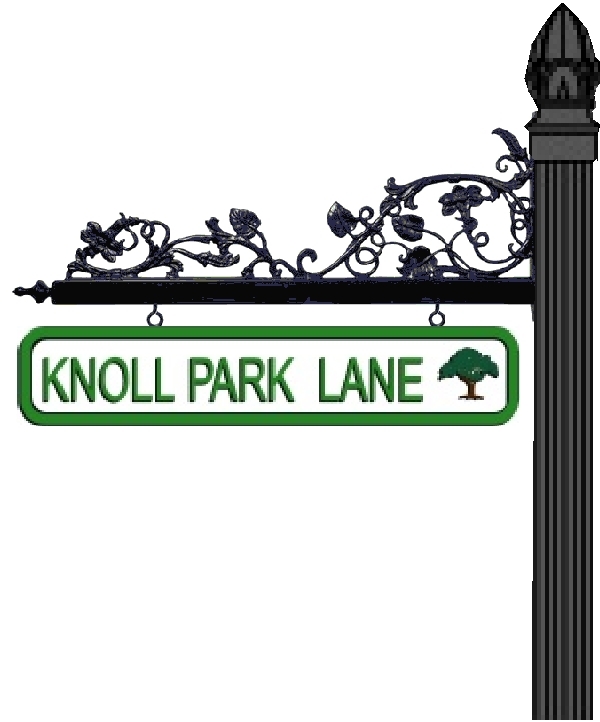 The sign is sandblasted double-faced HDU; the post is a 3 in diameter round fluted post with acorn finial, and the scroll bracket is Morning Glory (DSB-11).Our street and traffic signs can be mounted under the scroll bracket, as shown here. . These dimensional street name signs are carved from HDU, a foam design with a hard fiberglass epoxy resin coating for longevity and protection against damage.This handsome upscale street sign and aluminum post has a hanging bracket, ornamental base and finial on top of the post. The green color is used for all components.